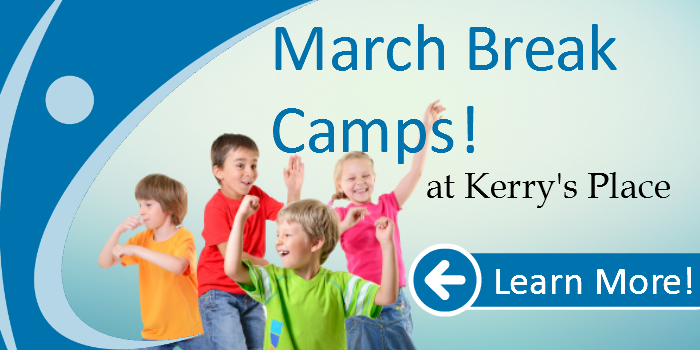 WE ARE PLEASED TO OFFER A MARCH BREAK DAY CAMP EXPERIENCE FOR CHILDREN AND YOUTH BETWEEN THE AGES OF 6 & 17. This year we will be holding mini camps that will be held at one of three Peel locations. The mini camps will take place at 71 West Drive Unit 28 in Brampton, 6660 Kennedy Road unit 6/7 in Mississauga and our Embleton respite home in West End Brampton. Pre-Registration will begin on Monday January 21st at 9am through until Friday January 25th at 4:30pm. 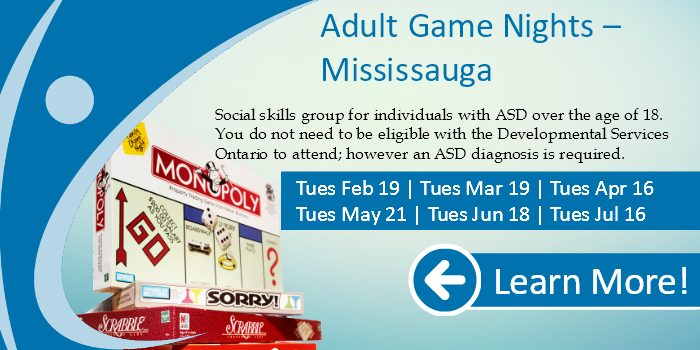 Please email lisa.vibert@kerrysplace.org or call 905-457-8711 ext 225 to add your name to the pre-registration list. Eligible Families will then be put into a lottery and will be contacted no later than January 31st 2019 to confirm if they have received a spot and begin the camp registration process. 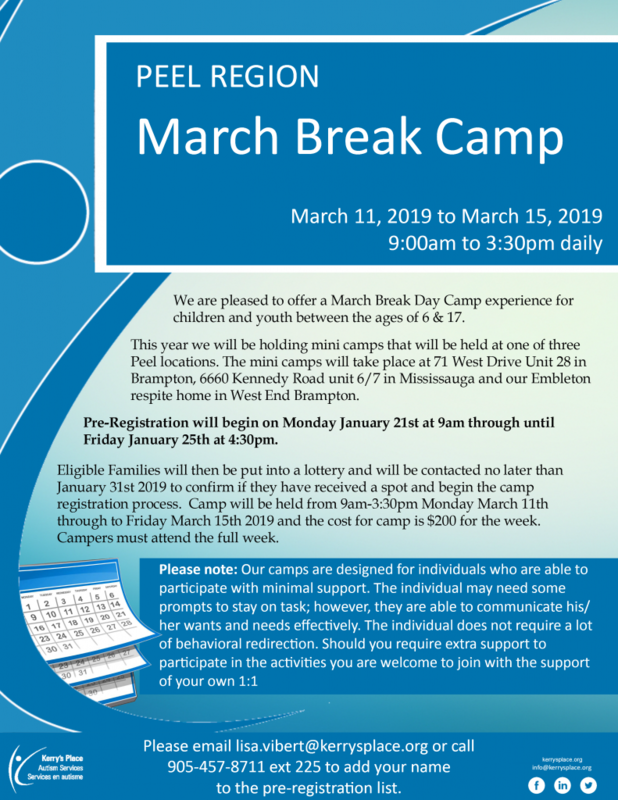 Camp will be held from 9:00am-3:30pm Monday March 11th through to Friday March 15th 2019 and the cost for camp is $200 for the week. Campers must attend the full week. If you require more information please contact Lisa Vibert at lisa.vibert@kerrysplace.org.